I am extremely fascinated and again and again getting surprised of contact improvisation and I have been practicing the form since 2005. My background is in dance, movement, somatic practices, contact improvisation and improvisation. I have done CI since 2005, most of the time actively and have seen few different CI communities closer, in Seattle when I started to go to contact jams in 2006, in Berlin 2010-2012 and in Helsinki 2012-. I teach classes in Helsinki since 2015 and abroad since 2017. 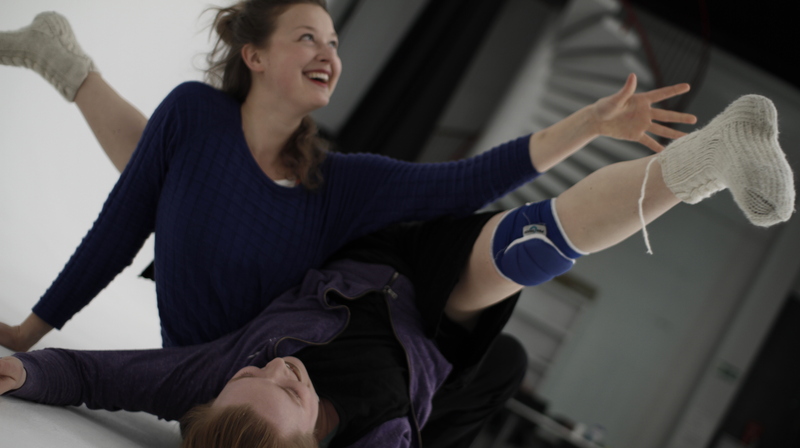 I am part of the organisation team of Skiing on Skin, the contact improvisation festival of Finland. I have been teaching at Contact Meets Contemporary 2018, In Touch Berlin 2017 and Berlin New Years festival 2017. Maybe I lay on your belly forever is a performance project of Diana Thielen and myself. 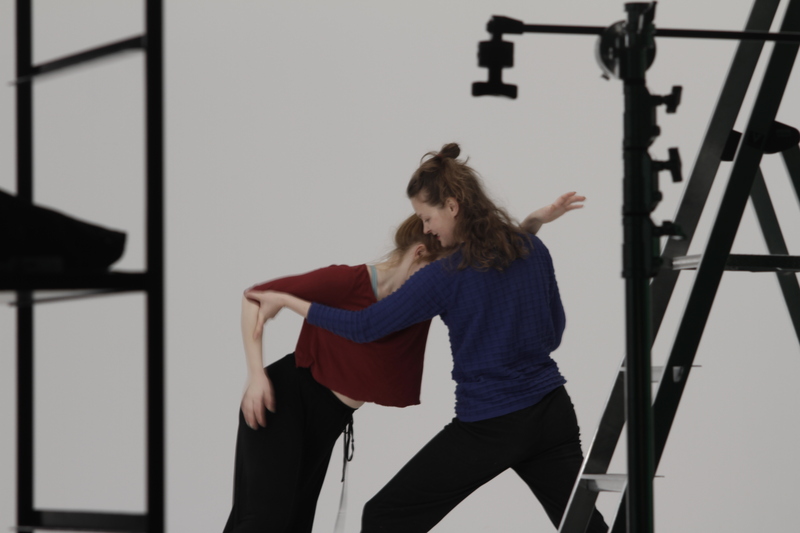 We are part of the collective called We Are Sisters, a group of people using contact improvisation as a tool for performance. In 2015 and 2016 with a working group called Art Sport Quartet (Iiris Raipala, Iina Taijonlahti, Nadja Pärssinen) I have been developing a performance that combines CI-jam and performance. We play with the ideas of inclusion and exclusion, shared space and everyone being important in the space and that everyone has an equal power to make changes. I’m really interested in group dynamics. In situations like a jam I feel that everyone affects the space, or at least has the possibility to affect, but people are not always aware of that. I would like to create more situations where it is possible to notice the affects of an individual in a group situation regardless of the hierarchies of the group. Or maybe the hierarchies are something to investigate and to find ways how to make them visible and through that awareness make the space more inclusive. I love to discuss and dance about issues like responsibility of yourself and the partner and boundaries in dance and in the jam space. For me contact is a great platform to study myself in connection with others. How to communicate, what does those situations in jams bring up in me, how do I feel and how can I express it through movement and touch. How do I get what I need, how to be courageous, how to be sensitive, how to listen and how to trust myself others. It’s like a laboratory where many of the things that exist in everyday get exaggerated. Contact improvisation is physical non-violent communication! I love to teach a class called the NO class, where I teach ways to change something, to say no and to deal with it when someone else is saying no to you. I have recently started to get to know of non-violent communication and have been thinking of how to connect it with CI. I taught a class about connecting those two techniques and what we did was to start to notice the difference between evaluation and observation. I am interested in finding more ways to mix the forms for a better communication in movement and in words about the movement and dance.